Automagic is a device automation app for Android. Tasks can be automated by building a graphical flow chart describing the task. 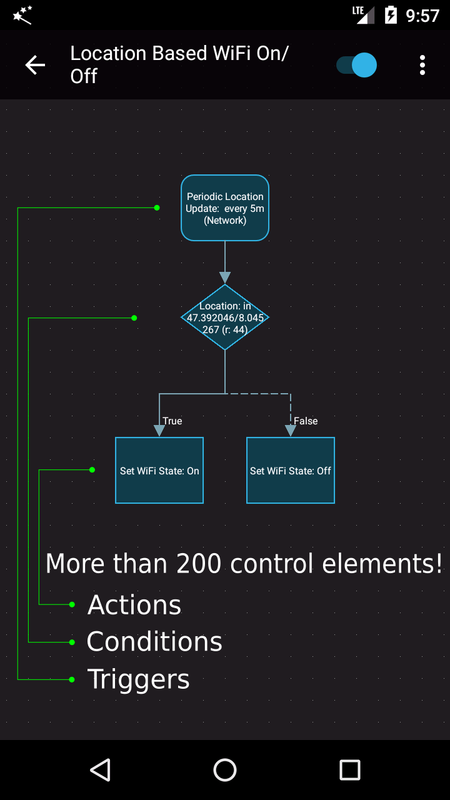 Automagic features more than 200 triggers, conditions and actions to build flows with. 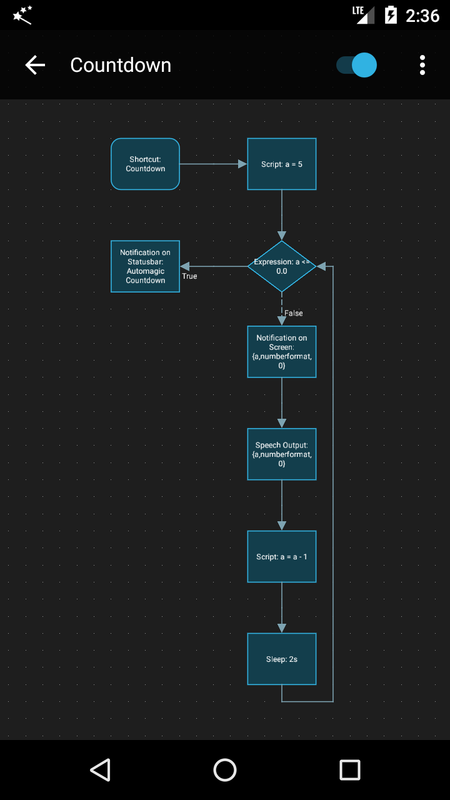 Automagic allows to build flows with loops and scripts which allows to build flows to handle complex cases. Automagic contains a simple widget editor that lets you define your own home screen widgets and screen overlays. Automagic is available on Google Play: Automagic Premium. If you would like to try Automagic before you buy, you can test the free evaluation version of Automagic Premium. Please visit the Automagic Forum if you miss a feature, want to share a flow with other users or have a question.